Ross, S. Scott - Groelle & Salmon P.A. Mr. Ross’ practice is devoted to third-party liability defense issues, the defense of businesses and professionals. He has substantive trial and mediation experience throughout Florida. Additionally, Mr. Ross has extensive experience in large-loss liability defense including, construction defect; wrongful death; catastrophic personal injury; premises liability; restaurant; theme park; hospital; and physician liability. He has defended clients in complex business matters, as well as professionals in licensure investigations and disciplinary proceedings before Florida Administrative Agencies. Mr. Ross is active in writing and presenting on cutting-edge legal topics, having been published by The Florida Bar Health Law Section; Florida Hospital Association; American Health Lawyers Association; and Florida Society for Risk Management & Patient Safety. 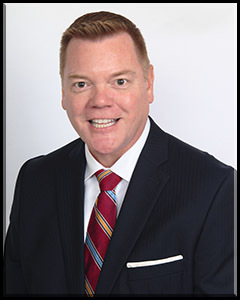 He previously practiced with the Tampa office of a national law firm representing healthcare clients in complex business, medical malpractice and licensure matters.